This entry was posted on March 6, 2017, 7:02 pm and is filed under Funny Demotivational Posters. You can follow any responses to this entry through RSS 2.0. You can skip to the end and leave a response. Pinging is currently not allowed.- Report Incorrect Source or Offensive Content? My God! !, Anybody know where this was? 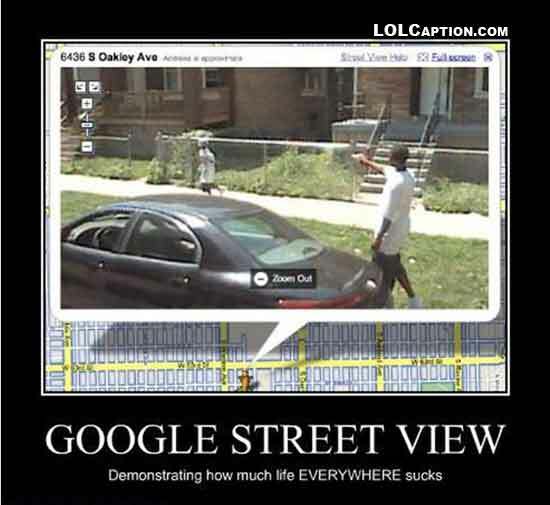 Google removed this pic, but if you look at the scene from either side, he is actually pointing the gun at a group two houses down at a fight happening there. The angle here only looks like he’s aiming at the kid.